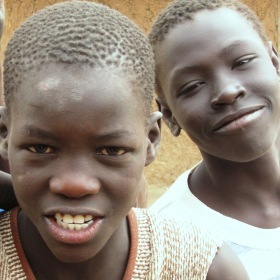 In the war-torn country of Sudan, the Boys’ Hope Center has provided a safe place for street children and others from impoverished backgrounds for many years. We are committed to keeping as many children as possible off the streets and away from lives of danger, crime, and child labor. The situation here continues to be volatile and uncertain, but Kids Alive will continue our efforts to protect these children. There are 22 young boys and teenagers who live in the Boys’ Hope Center, where they have committed caregivers. Physical, emotional, social, educational, and spiritual needs are met as the boys receive healthy meals, medical care, a good education, and learn the good news about the love of Jesus. In addition, we are able to reach out to many community children each day with tangible help and support. Support the Ministry of Boys' Hope Center with Your Gift Today.